Welcome to Kingdom Builders! We're here to assist you in your next steps as a believer, new partner, or someone who simply wants to get connected! 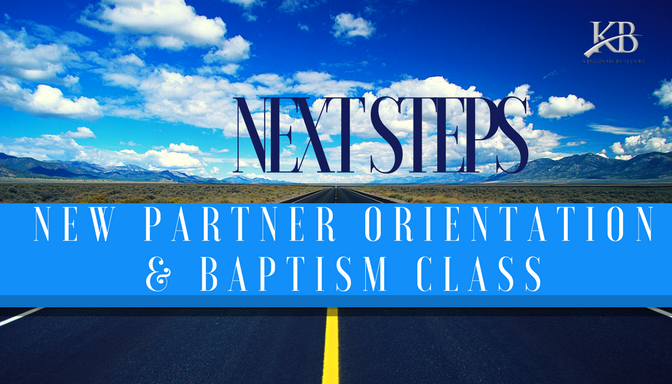 Next Steps is truly the 'Next Step' for you if you've decided to become a partner with Kingdom Builders, would like to learn more about our ministry, or you simply want to get started serving in ministry. Next Steps is held twice each month and we look forward to seeing you at the next one! Register now for the next class!